The CMS Innovation Center will open a new artificial intelligence challenge in early 2019, seeking new applications for AI and analytics that can boost clinical care and improve overall patient health, the agency said. The center's proposed Artificial Intelligence Health Outcomes Challenge is billed as a cross-industry competition seeking new strategies to innovate how AI can be safely implemented in existing and proposed new models of care. It will cast a wide net, CMS says, open to technology vendors, clinicians, scientists, academics and patients who are innovating their uses of AI for quality improvement. The agency says it's interested in how AI can be better leveraged predict certain health outcomes and enhance care delivery. For its part, CMS is "brainstorming how we can incorporate AI in the implementation of both our current and new payment and service delivery models." The timeline and prizes for the AI challenge are not yet specified, but CMS said interested parties – "we encourage broad participation from all sectors, not just healthcare" – should subscribe to its email updates to stay apprised of when the challenge application period opens. As we've shown this month in our Focus on Artificial Intelligence, AI has long since transcended the realm of theoretical use cases and is now routinely deployed across healthcare to inform and improve real-world treatments – from cancer prevention to cardiac care to advanced cellular medicine. That trend will only continue as the technology becomes more commonplace and ubiquitous, but it's still critical to find applications that are targeted, useful and and safe. 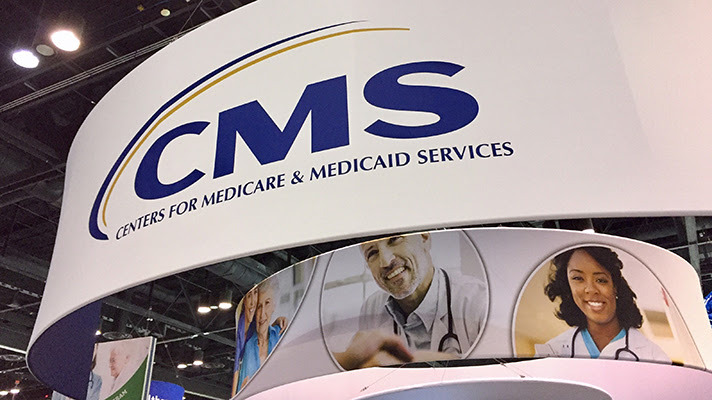 "The goal is to help the healthcare system deliver the right care, at the right time, in the right place, and by the right people," said CMS officials. "It’s not enough to build on the technology that currently exists. We need to ask bold questions, like how artificial intelligence can transform and disrupt how we think about healthcare delivery."